Lately, the angelic warrior Pit has been up there in popularity with some of Nintendo's mightiest mascots. This has been mostly due to his reintroduction to the gaming world as part of the roster of Super Smash Bros. Brawl and his first new game in over twenty years, Kid Icarus: Uprising. Uprising remains not only one of my favorite 3DS games of the year, but it is one of my favorite games of the year on any platform. 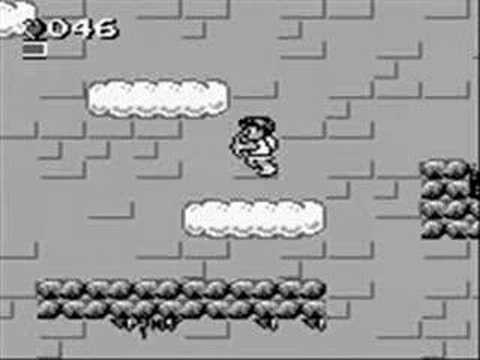 That notwithstanding, I, like most likely many of you, was not familiar with Pit's past efforts with the original NES Kid Icarus (the game is available on the Wii's Virtual Console service or in 3D Classics form on the 3DS's Nintendo eShop) and the subject of this review, Kid Icarus: Of Myths and Monsters for the original Game Boy. Does this game shine in the glory of the sun, or does its wings burn up? Pit's first portable adventure has him undergoing grueling training after the goddess of light, Palutena, experiences a tremendously vivid dream of death and destruction being inflicted upon Angel Land, a typically cheery and chipper world. Taking this dream extremely seriously, Palutena sends her trusted servant Pit out to train hard and collect the Three Sacred Treasures to combat the impending evil. Like a fair portion of Game Boy games, the actual story of the game during gameplay is minimal. In fact, the plot is set up in scrolling text leading up to the title screen. Sometimes not saying much of anything is saying enough, and for Of Myths and Monsters this design philosophy works. If you have played the previous installment of Kid Icarus, you should be familiar with the gameplay of the handheld sequel. If not, there's no worries as it is astonishingly simple to jump (and fly) right into. There are four worlds to play through in Of Myths and Monsters. Every world except the fourth has four levels. Worlds one and three are primarily vertical affairs while worlds two and four are horizontally inclined. Pit's second game takes him through the clouds, across plains, and through the underworld in his search for the Three Sacred Treasures. The game is simple to control. Pit can fire arrows to his left and right, and he can fire directly above to take down foes who wish to get the drop on him. Jumping in this game allows Pit to have a more flexible volume of inertia. You can more easily change direction mid-jump. The aforementioned vertical levels are built with the ability to loop infinitely when you move across them horizontally. 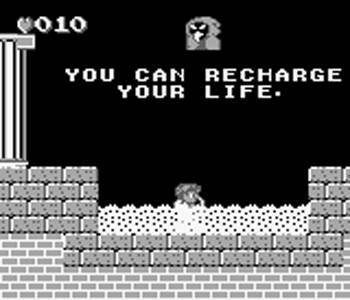 One fabulous fix from the original Kid Icarus is that you no longer die by falling. In the first game, the screen would scroll to a position that if you fell below it, you'd lose a life and gain a copious amount of frustration. That problem has been rectified, so fall freely all you wish, Pit! As you fall, you can tap the jump button to have Pit flap his wings to slow his descent. This makes otherwise challenging leaps all the more feasible. Every level has its share of secrets to be found. Doorways lead to a myriad of different room varieties. 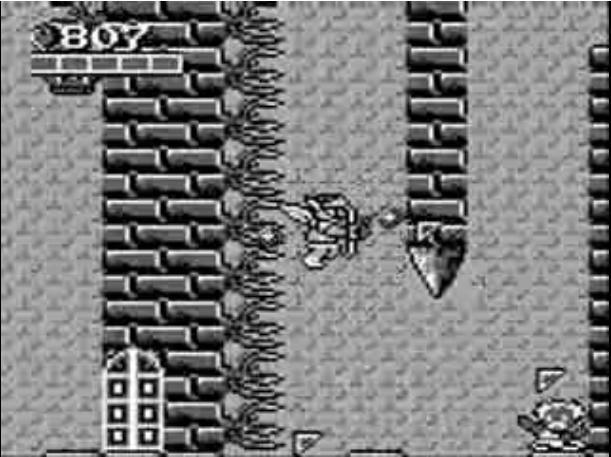 By defeating enemies, you can collect their fallen hearts, the currency of Kid Icarus, however macabre that might actually seem and in reality be. Some doors take you to a shop where you can exchange your hard-earned hearts for hammers that can break blocks, life-restoring items, and other beneficial items. This time around, even Zeus is here to help. He has numerous training rooms for Pit to test his physical and mental mettle in. They basically amount to surviving a flurry of flying tiles, but the rewards for doing so are great. Pit can upgrade his bow and arrows, allowing his shots to fly across the entirety of the screen and/or even take out baddies with a single blow. The fourth level of the first three worlds is always a trip to a labyrinthine fortress. Fortresses have multiple rooms that are filled with traps, enemies, and peril. However, you are not left to your lonesome in these level types. By doing some searching in each fortress, you can uncover a helpful Map, Pencil, and Torch. These items show the complete layout of a fortress, show what rooms you have already visited, and show your current location. These fortresses very much feel like what The Legend of Zelda's dungeons would look like if that game were a 2D side-scroller and wasn't of the overhead camera perspective/action adventure genre. Fortresses house the most hazardous obstacles in the game. The infamous Eggplant Wizards call these hellish havens their homes. One touch of a thrown shot of theirs turns poor Pit into a bipedal eggplant. He must then venture through the fortress, with no ability to attack, to find a clerical figure who will heal him free of charge. However, sometimes being an eggplant is beneficial as you can enter narrow gaps, skipping portions of a fortress. 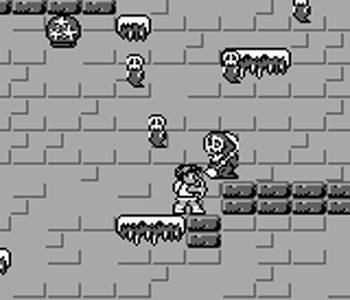 Keeping with the idea of fortresses being dangerous, each of the three types of levels has a guardian defending to the death one of the Three Sacred Treasures. These fights are not so bad as each boss has their own pattern to exploit the weakness of. The downside is that if Pit is not powered up that much through successfully completing training grounds, the battles wage on for lengthy periods of time. Arrow after arrow penetrates the flesh and bone of your adversaries, yet they just keep on living. Die already, darn you! At the completion of each level, your points from the level add up to a cumulative total. As you reach certain milestones in points, Zeus bestows you with health upgrades. Having five full bars of health is a lovely luxury as some arrow upgrades require Pit to have at least 2-4 bars of health full in order to utilize them. For the greatest challenge, try beating the game with minimal health and minimal upgrades. It isn't so easy! Speaking of beating the game, Of Myths and Monsters isn't a particularly long adventure. It certainly isn't mythical in its length. It can be completed within 2-3 hours at best. However, like many games around its era of birth, Kid Icarus: Of Myths and Monsters is the kind of game that you will want to play through over and over. It is really that much fun and that much more accessible than its painfully perverse predecessor. Being fully competent and strong at release, the visuals of this game are pleasing to the eye in their simplicity. Levels have loads of Greek-based architecture from stones and statues to columns and shrubbery. 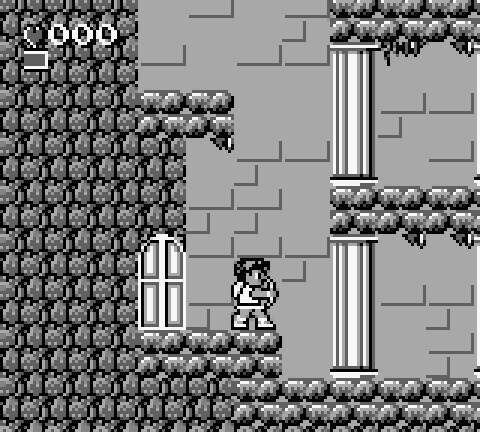 The outdoor levels are bright and bouncy, which is of high contrast to the fortress levels. These have pure black backgrounds and stone-surfaced floors, ceilings and walls. Pit himself looks the part of an angel with bow in hand and wings spouting from his back. But where the character design truly impresses is within the boss battles, with one particular foe taking up two screens in all his intimidating glory. You can probably guess at what point in the game this boss turns up. Moving on, the music fits the levels it plays during quite well. It changes up enough that you will seldom grow to be annoyed by the various "jaunty sometimes, foreboding others" themes being played. Kid Icarus: Of Myths and Monsters is a clear improvement over its predecessor in nearly every way. The game is much fairer in difficulty and the game is all the better for it. The short length of the game might put a lot of potential interested parties off, but Pit's first portable outing is one that is enjoyable to occasionally sit down with and enjoy off and on through the years.